Emergency Locksmiths Bournemouth - 30 Minute Callout! CALL 01202 287055 RIGHT NOW IF YOU ARE IN AN EMERGENCY SITUATION! WE WILL BE THERE WITHIN 30 MINUTES! Abacus Locksmiths is a family-run business offering affordable emergency locksmith and general lock replacement solutions. Call us today for a free quote on 01202 287055. If you are looking for locksmith services look no further than Abacus Locksmiths. We offer a wide range of services including lock fitting, repairs and replacements. You can also rely on us to offer 24-hour emergency locksmith services. We cater to both domestic and commercial customers. Get in touch with us today for more information about our services covering Bournemouth, New Forrest, New Milton and the surrounding areas. Are you locked out of your property in Bournemouth right now? Call 01202 287055 now and we will be there within 30 minutes and get you unlocked ASAP! 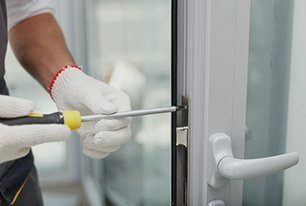 If you are looking for an emergency locksmith service for Bournemouth and the surrounding areas that is trustworthy, reliable and available 24/7 we are the company for the job. Lost your keys? Need new locks installed for your office? Rely on Abacus Locksmiths for affordable locksmith services for both domestic and commercial customers across the Bournemouth area. From lock repairs and replacement to updating the security systems, we can do it all. All our services are carried out to the highest standards, and are personalised to suit your requirements. For your peace of mind all our work is fully insured. We don’t charge extra for emergency call-outs. Abacus Locksmiths is 5 star rated across Yell, Google, Facebook and Rated People. 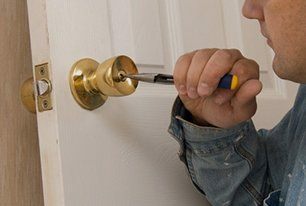 Our specialty covers locksmith services Bournemouth, repairs, replacements and emergency services. Lead by our skilled locksmith Phil Tetley, it doesn’t matter if you are a homeowner or a business. We will get the job done, on time and within the quoted budget range no matter the project. It does not mwatter what work you need done. If we deal with the specialty and you’re in Bournemouth or surrounding areas we are here to help! We provide unparalleled customer service and we truly care about our work with the pride we take. We are always reliable and professional. No matter where in Bournemouth and the surrounding areas. you need us or when you need us, day or night, we will be there on time to help with installations, repairs or replacements. We utilize best industry practices with the latest tools and technology to ensure the job is done correctly and at a fair price. While we work you can be rest assured that you will be fully satisfied once the job is complete for the work your require in Bournemouth.